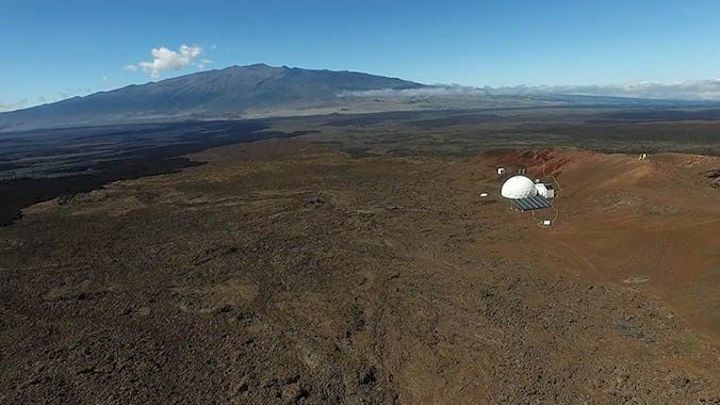 The University of Hawaii’s sixth Mars mission simulation will begin today as another crew starts eight months of isolation inside a dome on Mauna Loa. 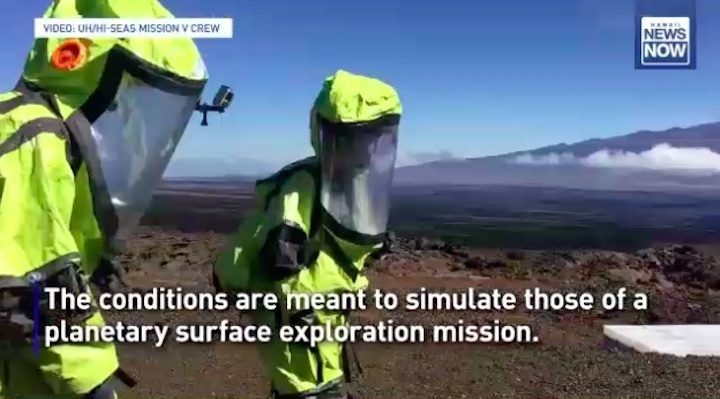 The NASA-funded Hawaii Space Exploration Analog and Simulation, or HI-SEAS, tests human behavior and performance during long periods of isolation, similar to what astronauts might experience on a mission to the Red Planet. They are only allowed to venture outside with protective suits and all communications are placed on a 20-minute delay. This year’s participants are: Sukjin Han, an assistant professor of economics at the University of Texas at Austin; Calum Hervieu, an astrophysicist from Scotland; Lisa Stojanovski, manager of the Australian Chapter of the Space Generation Advisory Council; and Michaela Musilova, an astrobiologist. The studies will help determine individual and team requirements for long-duration space missions, UH says. 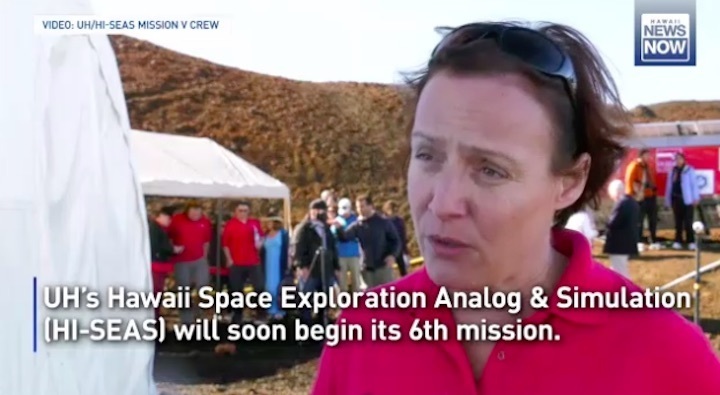 The University of Hawaii at Manoa’s Hawaii Space Exploration Analog and Simulation (HI-SEAS) project will soon begin its sixth mission. 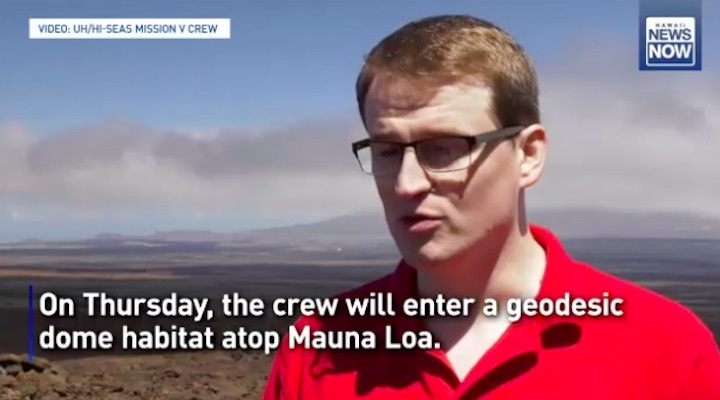 At approximately 5 p.m. on Thursday, four astronaut-like Mission VI crew members will enter a geodesic dome habitat atop Mauna Loa on Hawaii Island. 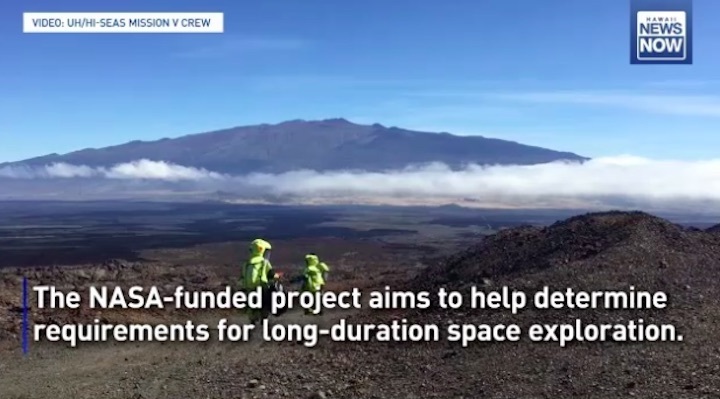 The NASA-funded project aims to help determine the individual and team requirements for long-duration space exploration missions, including travel to Mars. 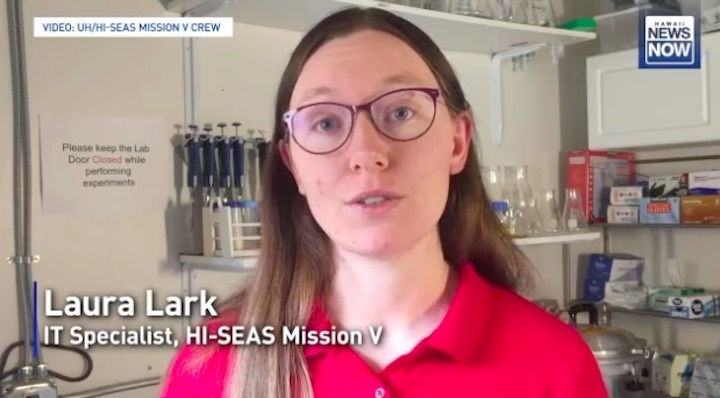 HI-SEAS Principal Investigator and University of Hawaii at Manoa Professor Kim Binsted says HI-SEAS is important for understanding human behavior and performance in space. "The University of Hawaii is going to be giving NASA essential information about how you pick individual astronauts and how you put them together in a crew," said Binsted. "But also, how you support them over these long duration missions." During the eight-month mission, the crew will perform exploration tasks, such as geological fieldwork and life systems management. The mission is conducted under isolated and confined conditions that are designed to be similar to those of a planetary surface exploration mission. All communications, for example, are delayed by 20 minutes in each direction to simulate the time it takes for a message to travel between Earth and Mars. Daily routines include food preparation from only shelf-stable ingredients, exercise, research and field work aligned with NASA’s planetary exploration expectations.